If you’re looking to bolster and nurture your communication skills, both in being heard and in listening, then this eBook can help with this and more! I’d like to share with you the launch of my first ever PDF Interactive eBook. It’s called 7 Chakras for 7 Days for empowering your activation and encouraging your transformation. Whatever goals you have, in whatever areas of life, by utilising the 7 Chakras for 7 Days eBook, you will begin to expand and clear your energy field so that you will have the space available to invite in that which you are wanting. 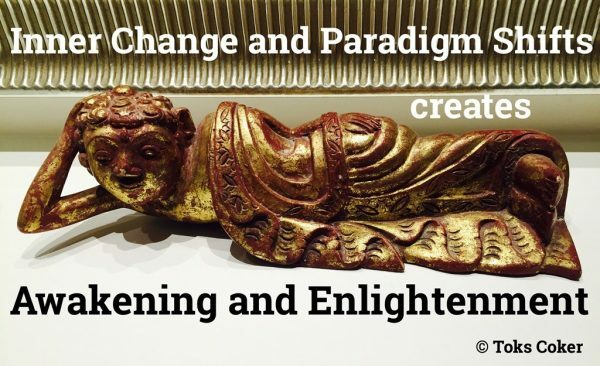 This process; healing, clearing, intending and manifesting; is very much a conscious one, as, day-by-day, you will become more and more aware of your own energy – how it ‘speaks’, where and how it wants to heal and what it needs etc. It is very good to have an opportunity to step out of the world created by our isolated minds. Thank you Toks for your gift and ability to take us on a different journey which doesn’t last only the time we are here but much longer. You will dive head first into a conscious, alive and evolving relationship with yourself and your energy. This relationship with yourself is the key to achieving any and all goals that you want and more. It’s the key to a foundation of happiness, joy, peace and love. Manifesting a loving relationship (or becoming closer if you are already in a relationship), raising a family, becoming more healthy and more fit, achieving your career based goals, contributing to society – giving back somehow, healing any number of relationships with family and friends etc. – all of these types of goals, and anything else that you desire, can be manifested through the consistent application of the exercises in 7 Chakras for 7 days When engaging with our Chakras becomes a natural part of life, our awareness expands and we open up to the guidance all around us. In short, 7 Chakras for 7 days will help you to live a more fulfilled and happy daily life; bringing a spring into your step and your heart. Filled with vivid and beautiful images, this eBook will engage, inspire, invoke and catalyse you to heal yourself and move your life forward. 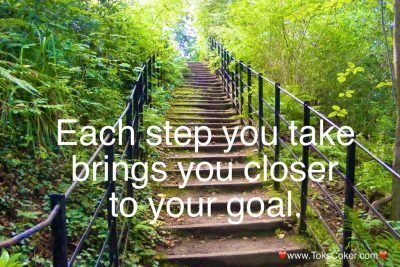 Of course, as each week ends, a new week begins and the whole process can continue. That’s the beauty of 7 Chakras for 7 Days, it can be used again and again, for years and decades to come, as you continue to evolve your relationship with yourself, enjoying, expanding and succeeding all the way! As you will be working with all 7 of your body’s Chakra’s, you will begin to learn the dynamics of each Chakra, specifically for you. 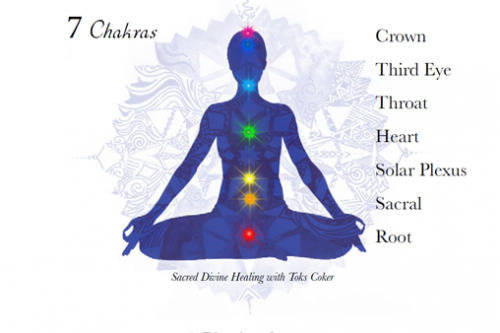 You will realise what types of imbalances and what types of pains are housed in each Chakra and how to heal them. 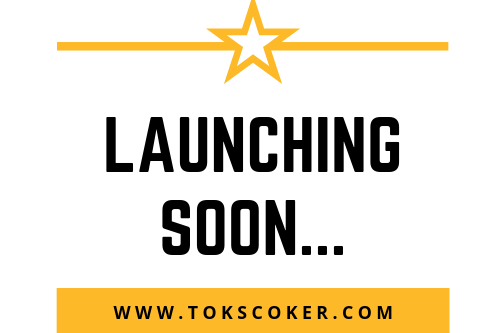 Toks is an inspiring teacher who leads you through a wonderful journey of love and light. Thank you Toks, for deepening my knowledge of life and helping me live it fully. I felt I could speak of my fears honestly and the sense that my energy was being received and worked with / healed. I feel that Toks is direct, which is a relief. I feel like I’ve had a spiritual workout and can now rest, anxieties shed. I had spiritual re-attunement/refreshment/realignment. Toks’ work is invaluable. Toks has helped me cleanse, heal and clarify my life purpose and has allowed me to bring both true love and abundance into my life. She has also helped me understand and complete past relationships and value and enjoy present ones. I have no doubt that the great life I am living now, including meeting and marrying my true love, has been created as a result of the work I have done with her help. I cannot recommend enough the depth, sincerity, wisdom, purity and integrity of Toks’ work. She is the healer of the highest order. Empowering, bringing lots of hope for the future; as well as self-respect. I feel happy. My deepest worries came out and I just feel a sense of big relief. Thank you. 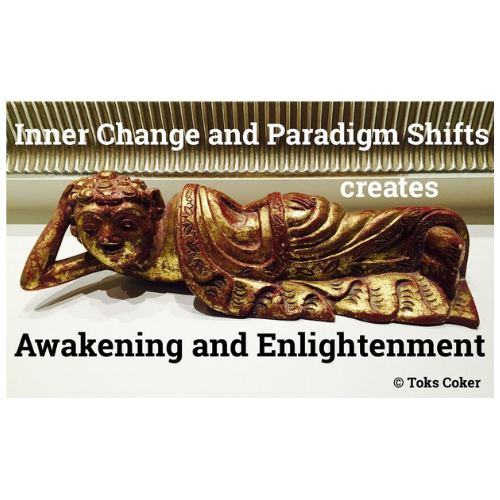 Toks is incredible, I have already experienced massive shifts in my life since the first meditation. She is a living Goddess. So happy I found her.